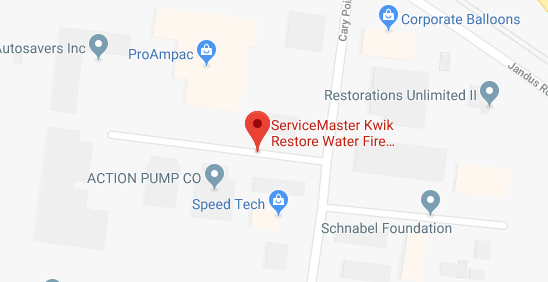 With over 50 years of serving Cary, IL, ServiceMaster Kwik Restore is a trusted provider of emergency disaster restoration and cleaning services for numerous homes and buildings. First started by Wayne and Clara Lutz in 1977, they had bought ServiceMaster Barrington Lake Zurich. After years of much success, they had then merged with ServiceMaster Cary, Crystal Lake, and Algonquin in 1981. They had also added the service areas of McHenry and Lake County. We are now proud to have Kevin Kallas as our current general manager. Kevin had first joined us in 1999, working with great excellence which has awarded him the position of General Manager in 2001. In 2007, Kevin had made the decision to purchase the company from Wayne and Clara Lutz, continuing in their footsteps to merge with ServiceMaster by Ryberg, ServiceMaster of McHenry, and now their latest merge, ServiceMaster of Elgin. We are now a proud provider of disaster restoration services for the following areas: north Chicago suburbs, northwest Chicago suburbs, Kenosha, and Racine County. In addition to their years of experience, our technicians undergo advanced training to remain updated on the latest restoration techniques, equipment, and products. This is to ensure the ongoing quality of our services to put you back on track in a timely manner. We will also work with insurance providers, making the process run as smooth as possible for you. 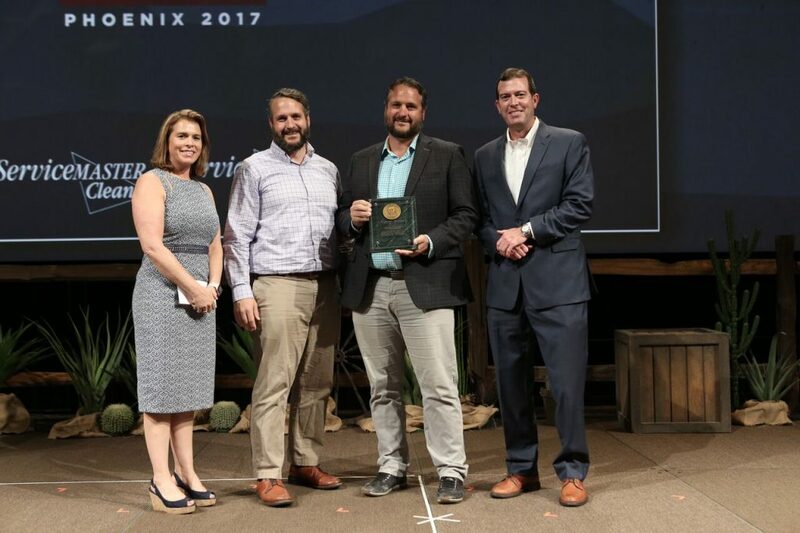 While we are committed to providing both convenient and emergency restoration services, we are also a proud award-winner of the annual Achiever Award from the ServiceMaster corporation since 2002. 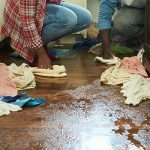 We are available 24 hours a day, 7 days a week for emergency disaster restoration and cleaning services at (815)261-9195 in Cary, IL and the surrounding communities. While water damage can be derived from numerous sources, it is the most common type of natural disaster. It can start out small; however, water damage can spread quickly, even developing mold growth if not treated right away. However, ServiceMaster Kwik Restore provides water damage restoration in Cary, IL to quickly remove the water and restore all of the damaged materials. With advanced equipment and products, our technicians will work to have the damaged area dried and cleaned as soon as possible. We have experience in restoring the following materials: drywall, carpeting, floors, air ducts, content, and more. We also work in accordance with IICRC S-500 standards. As property fires can cause the most damage, the majority of damage is actually derived from the soot and smoke. Long after the flames have been distinguished, the soot and smoke will continue to settle into the damaged materials. This is called etching and tarnishing. As these corrosive byproducts settle in, they will compromise the building structure, breaking them down and cause permanent damage. However, when called right away, ServiceMaster Kwik Restore provides emergency fire and smoke damage restoration services in the Cary, IL area. Our technicians use a variety of advanced products to create complex chemical reactions to effectively remove the soot from the damaged materials. With our emergency cleaning services, your property can be effectively cleaned and restored in no time. We will work with you every step of the way until your satisfaction and peace of mind are guaranteed. While the carpet is considered one of a home or business’s main furnishings, it also receives the most wear and tear over time. When in poor condition, it can severely devalue the aesthetics of the room. While regular vacuuming can extract much of the dirt and debris within the fibers, the rest will continue to accumulate, building up dirt and grime over time. ServiceMaster Kwik Restore provides effective and efficient carpet cleaning services in the Cary, IL area to restore carpet, upholstery, and furniture of all types. We also use specialized cleaning products to effectively clean specific materials, ultimately restoring that brand-new look and feel of the room. Hard flooring can receive quite a bit of wear and tear if it is not cleaned on a regular basis. Just as carpets can hold dirt, debris can easily get trapped within the crevices of tiles, hardwood floors, vinyl, and laminate flooring. While it may start out small, the damage can easily spread once a small crack has developed. 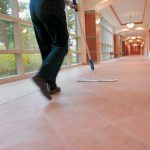 However, ServiceMaster Kwik Restore will quickly clean the floors with effective hard floor cleaning services in Cary, IL. Our services cover all floor types, including the following: vinyl, laminate, hardwood, tile, and more. 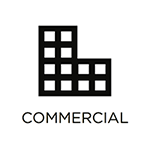 We service both residential and commercial properties while guaranteeing the satisfaction for floors of all sizes. Finally, you can be assured that your floors are cleaned and restored in a timely manner, using advanced cleaning products and equipment. While thousands of individuals are directly affected by hoarding in the U.S. each year, millions of lives are impacted by the disorder. As the affected individual has developed an anxiety from parting with their personal belongings, unsafe conditions can develop within the property. This includes the accumulation of items to create safety hazards, overloading circuits, blocking emergency exits, and harboring conditions for mold growth. However, they will need the help of a trusted love one to reach out for help. If you have a loved one that is directly affected by hoarding, ServiceMaster Kwik Restore provides effective cleaning services in which we will work with that person to separate and organize the items. Our technicians guarantee working with a sense of compassion, putting the individual in charge before discarding anything. We will also disinfect the area after removing the unnecessary items, ultimately restoring safe living conditions once again. 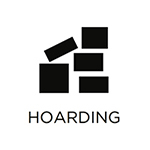 Not many individuals recognize the severity of the mental disorder known as hoarding. This occurs when an individual battles an anxiety towards parting with their belongings. As they choose to hold on to these items, they accumulate over time. Eventually, they can create the risk for fire as well as grow dangerous contaminants. However, ServiceMaster Kwik Restore offers a solution in which our technicians work with the individual to remove the items, they will complete disinfect the property; they will remove any odors, mold, and any biohazards lingering within the home. But the individual does need the help of a trusted family member or friend as they may be too embarrassed by the mess. 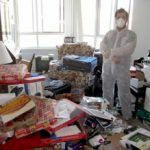 If you know someone who is battling a hoarding disorder, do not hesitate to talk to them and call us at (815) 261-9195 for complete hoarding cleanup services. The condition of the upholstery, or furniture, can have a large effect on the look and feel of a room. When it is brand new, the property can have a new, lifted appearance. However, when it is discolored from being embedded with dirt and debris, it can detract from the room. This can also negatively impact the first impression of a guest or client when they enter your home or office. As soon as you notice this, call ServiceMaster Kwik Restore for professional upholstery cleaning services. Our technicians are fully equipped to operate the latest equipment and use the latest products to effectively restore you upholstery to its like new condition. Finally, don’t let your furniture become host to dirt and debris, call us at (815)261-9195 for complete upholstery cleaning services in the Cary, IL area. ServiceMaster Kwik Restore is available 24/7 for emergency disaster restoration services at (815)261-9195 in Cary, IL.